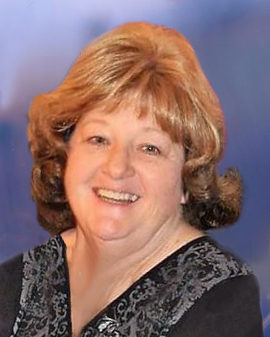 Obituary for Charlotte "Char" C. (Wehrman) Boris | Peterson Kraemer Funeral Homes & Crematory Inc.
Charlotte C. “Char” Boris, 61, Marathon died Saturday, November 3, 2018 at Aspirus Wausau Hospital. She was born March 2, 1957 in Marshfield, daughter of Ann (Mleczek) Noskowiak, Antigo and the late Lloyd Wehrman. On August 19, 1978 she married Richard “Rick” Boris at St. Thomas Catholic Church, Milan. He survives. For many years Char worked at the former Wausau Insurance Company and prior to her retirement she worked at Aqua Finance of Wausau. Some of her favorite pastimes included going to lots of garage sales, watching her grandchildren, being the family photographer as well as spending time with her husband Rick. She really enjoyed camping together with her small convoy (family) for 20 plus years. Char was often up early and she’d be the last one around the campfire. We have so many great memories. Survivors include her husband, Rick Boris, Marathon, her mother, Ann (Jim) Noskowiak, Antigo, her children, Tanya (Terry) Staus, Wausau, Nate (Carrie) Boris, Plymouth, MN and Matt (Kendra) Boris, Wausau, eight grandchildren, Danica and Colin Staus, Jayden, Zachary, Nicholas and Brooklyn Boris and Everly and Alden Boris, three sisters, Debbie (Randy) Waldvogel, Antigo, Dorothy (Tim) Resch, Wausau and Chris (Tim) Melzer, Antigo and many nieces, nephews. In lieu of flowers a memorial has been established in Char’s name. A Memorial Mass will be held at 1:00 p.m. Saturday, November 10, 2018, at St. John Catholic Church, Edgar. The Rev. Thomas Huff will preside. Visitation will be held on Saturday from 11:00 a.m. until the time of the services all at the church. Peterson/Kraemer Funeral Home, Wausau in charge of services. May you Rest In Peace. Gone but never forgotten.